You are here: Home » News » FOTMA delivered two XCMG HDD horizontal direct drilling machine! 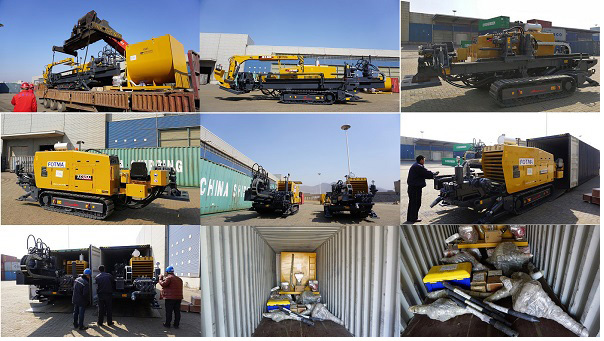 With the development of the city, more and more horizontal directional drilling machine is used to lay the cable of the municipal construction, the underground water pipe and so on.FOTMA just delivered two units HDD machines.One is 32ton XZ320D,the other is 40ton XZ400A to an Africa country. The shipment of XZ320D horizontal directional drilling machine is a 40ft HQ container. The shipping methord of XZ400A horizontal directional drilling machine is bulk or rollroll shipment.